Like the idea of sleeping dangling from a tree? Then the Free Spirit Spheres is the perfect accommodation. 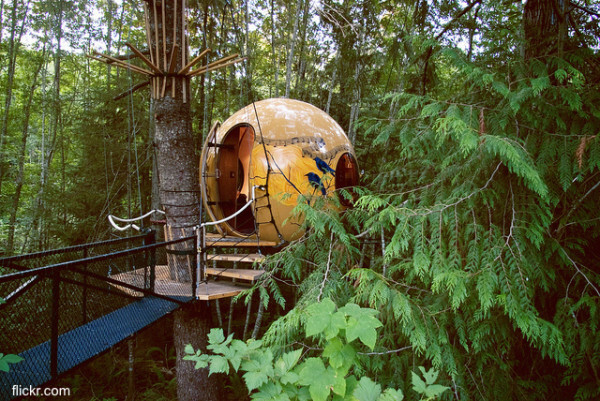 Located on the west coast of Vancouver Island, the rainforest location of these beautiful hand-crafted spheres only adds to the charm. Each one is tethered to surrounding trees through an intricate web of roping. This helps keep motion to a minimum when conditions are windy.